University of the Pacific's Symphonic Wind Ensemble presents The 1968 Retrospective. The repertoire was inspired partially by the Prague Spring of 1968 and the musicians will perform Karel Husa's Music for Prague 1968 under direction of Pacific Professor Eric Hammer. 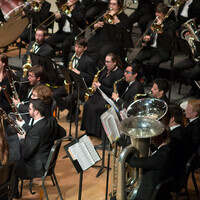 The evening will also feature University Concert Band directed by Nico Peruzzi, graduate assistant conductor.